Black Ops is now available for download! A covert operation thirty years ago suddenly flares into horrifying life as those who took part in it are targeted for death. But who is doing the targeting? And why the killing spree now? In this, their sixth adventure, the quest for answers to these questions leads Detective Superintendent Cecilia Cavaliere, her husband Anglican priest Michael Aarons and her colleagues on a complicated and at times dangerous quest. 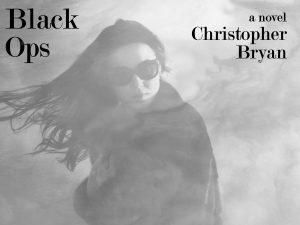 Christopher Bryan’s latest novel is now available in paperback and electronically. and click here if you are in the United States.